In October, the school has been preparing for its new ceilings to be installed. 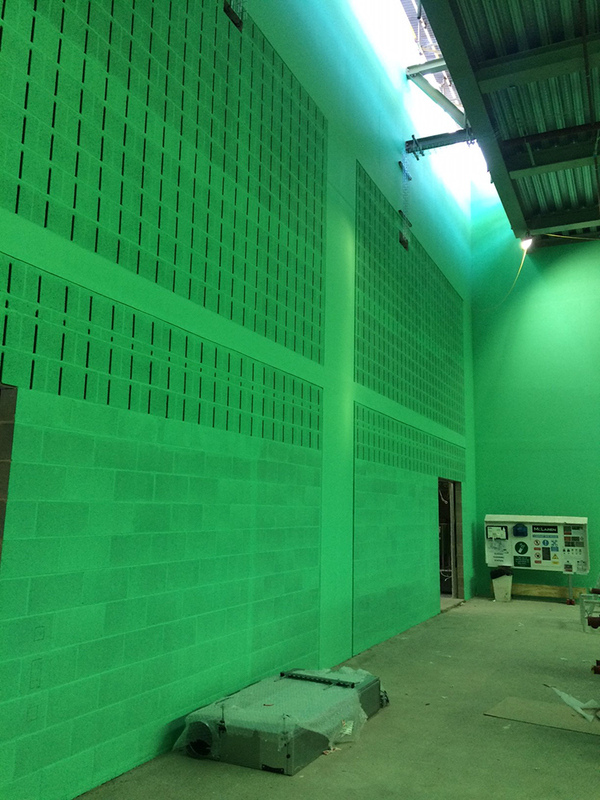 The Sports Hall has received its first coat of paint and the tower’s roof waterproofing works have been completed, as the remaining three levels of cladding are installed. Internal works on the floors below have continued, with some of the apartments receiving their first coat of paint. Glazing works continue to the Nile Street block, followed by the frame’s finishing works. 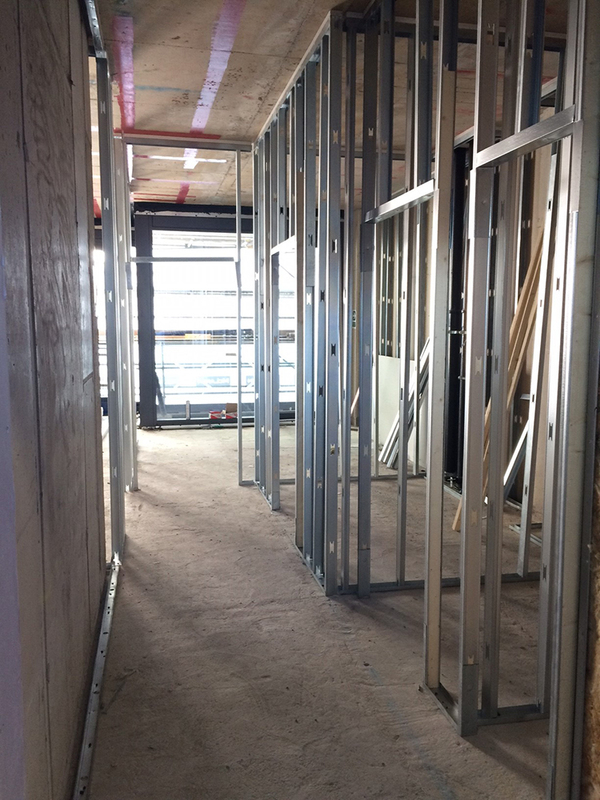 Internal works continue, with corridor and apartment walls under construction. In November, the school will continue with its internal works with ceilings being constructed, whilst works to the new courtyard area commence. 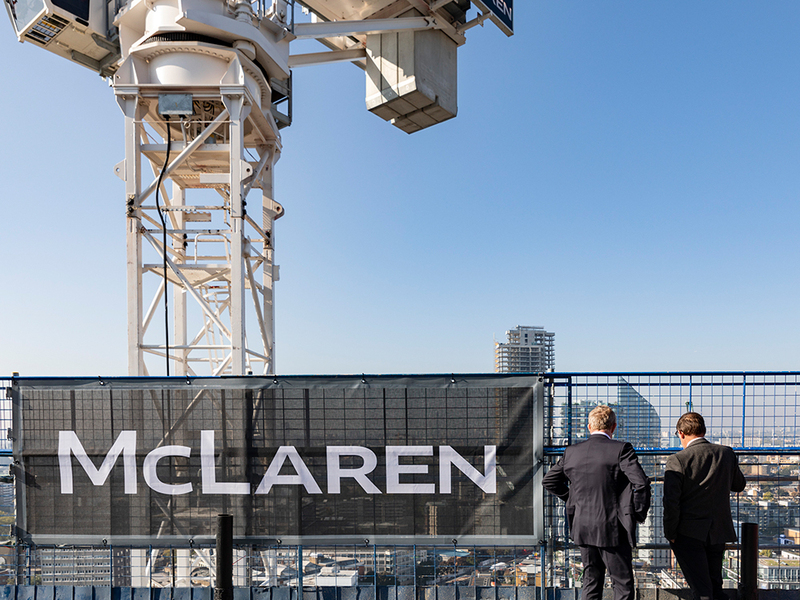 Construction of the apartment internal walls within the tower and Nile Street block will continue. As the façade works progress on the Nile Street block, we will commence dismantling the west elevation’s scaffolding. 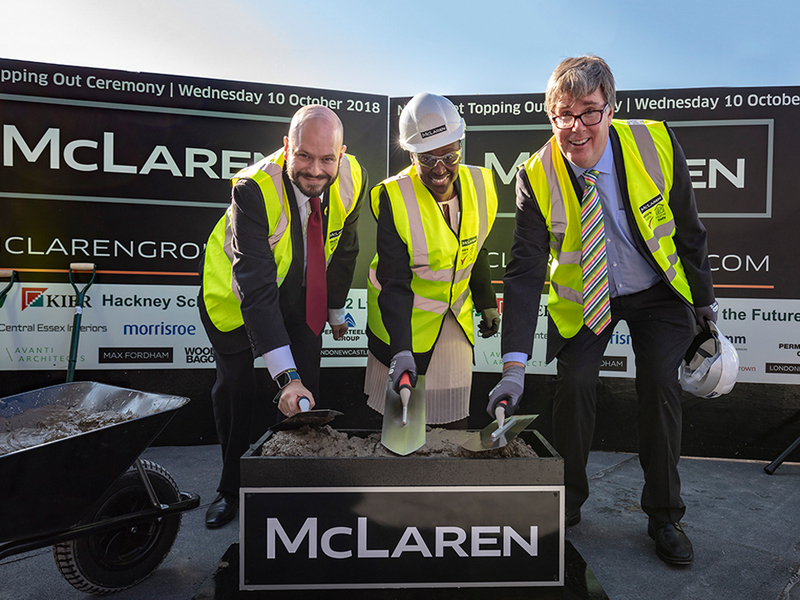 The Mayor and Deputy Mayor of Hackney and the headmaster of New Regents College joined us in celebrating the topping out ceremony at Nile Street on a gloriously sunny day. Hackney and are looking for a job or an apprenticeship, contact hackneyworks@hackney.gov.uk. Hackney Works is a free recruitment service run by the Council. Whether you’re just starting out, are looking for work or you want to change careers they can advise you.